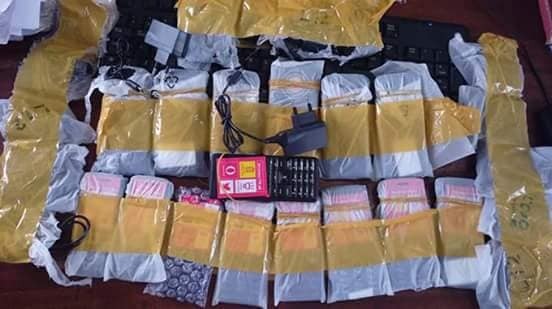 A man has been apprehended after trying to smuggle concealed mobile phones into the country. 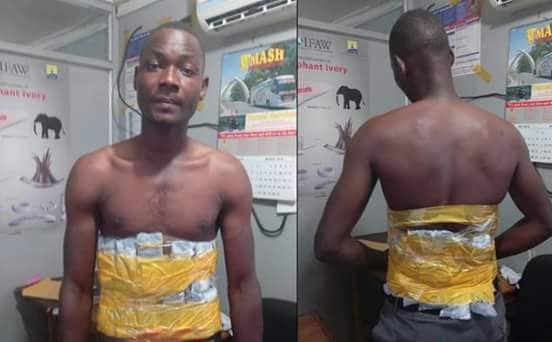 The man identified as Aaron Kawombe of of Nakoloke of Mbale, Eastern Uganda – was arrested by the Uganda Revenue Authority (URA) while trying to smuggle mobile telephones into the country. according to statement released by the URA. The statement said Kawombe crossed into the Malaba side of Kenya where he bought 15 Itel phones. He allegedly went to a small corridor near the shop where he concealed the phones on his body (stomach and lower chest) using cello-tape. He was arrested at a URA checkpoint in Malaba were officers do random checks, the statement added. URA said smuggling continues to affect revenue collection and causes unfair competition in the market among other impacts.